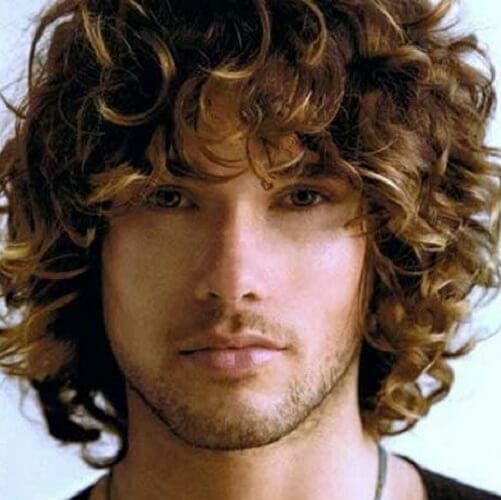 We all know for a fact that it isn’t nearly as easy to find ideas for curly hairstyles for men as it is for women. 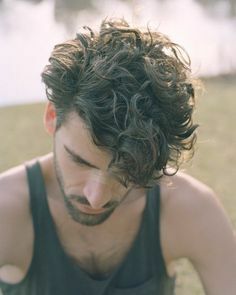 Aside from the fact that hairstyle and haircut ideas for men aren’t talked about as much online or offline, it becomes even more challenging when you have wavy or curly hair (as opposed to straight). 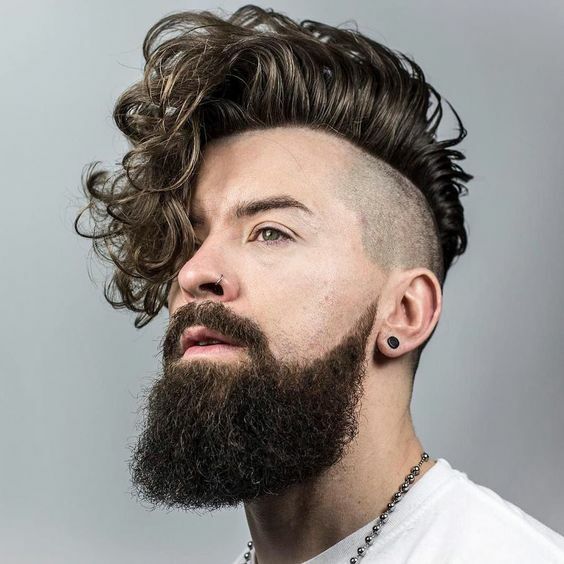 We want to spare you some time and inspiration, so we have collected 30 awesome curly hairstyles for men so you can get a few new ideas. Our findings include styles for all types of curly hair, from corkscrew curls to soft waves. In addition to this, our ideas cover all lengths, starting with buzz cuts and ending in long hair. 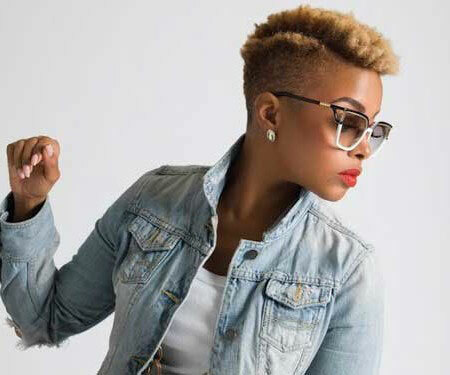 Enjoy these hairstyles and cuts and choose the one that fits your personality the best. 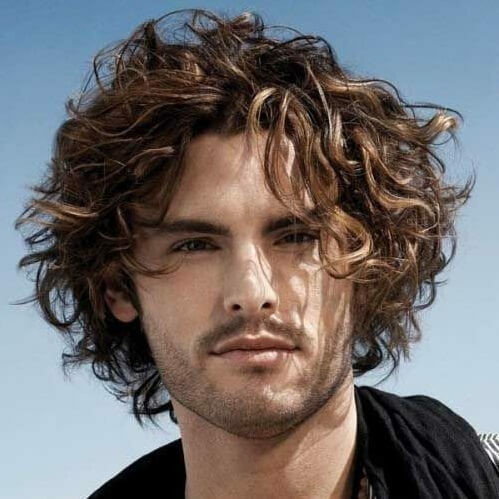 Check out these classy, funky and edgy curly hairstyles for men! 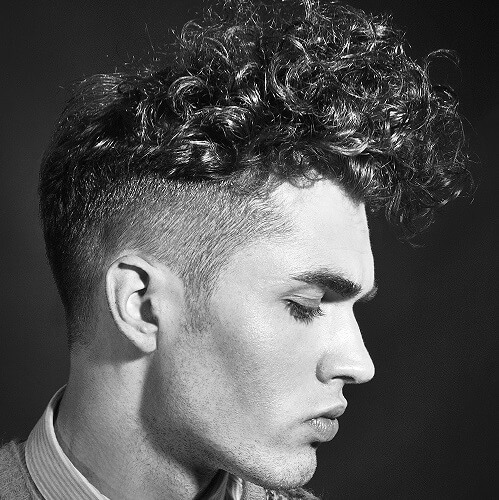 If you want a tasteful yet accessible look at the same time, go for a classy curly cut. 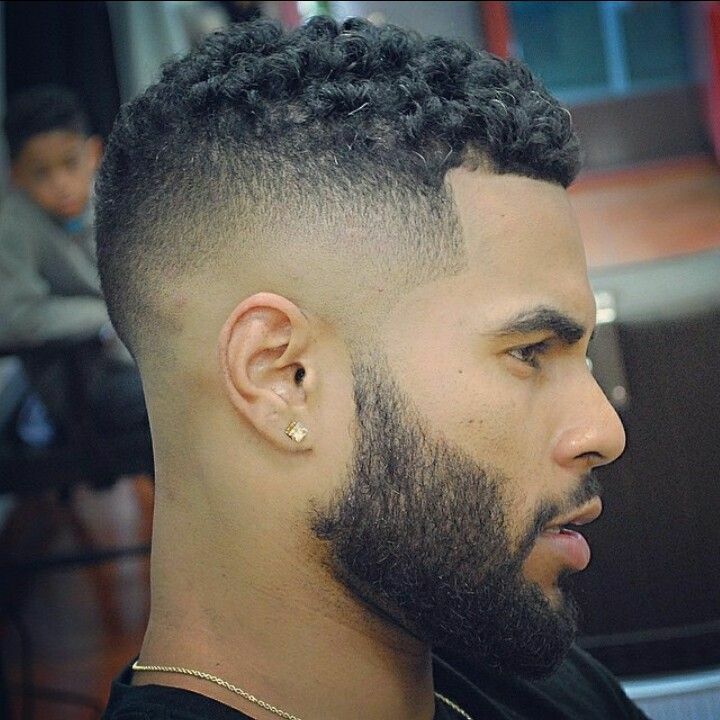 This is one of the most popular curly hairstyles for men this year. It’s a timeless choice, if we do say so ourselves. 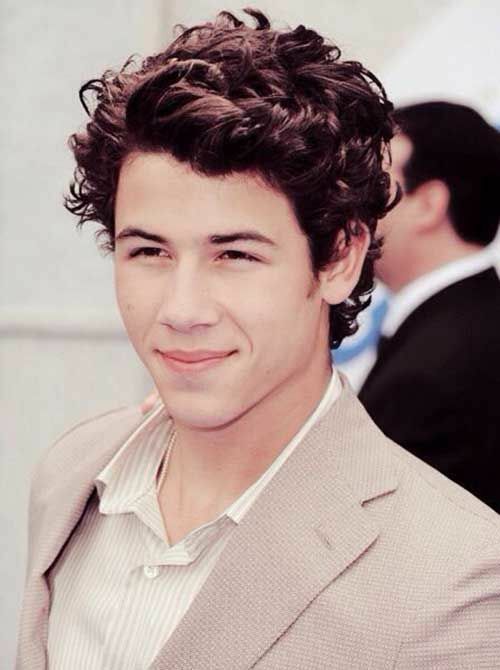 Those who want a more laid back approach to curly hairstyles can go for shorter haircut. While not being too short to play around with, this look shines through effortless style. 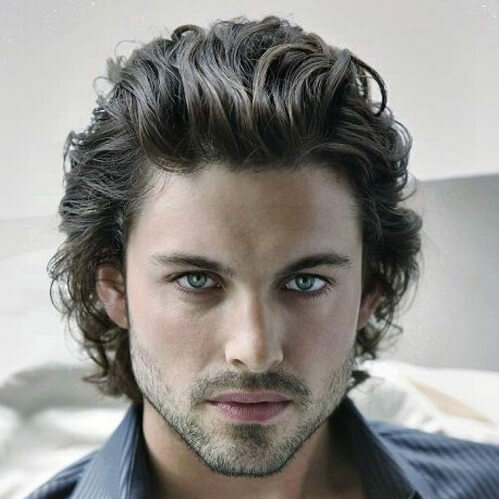 If you are a natural romantic and have wavy hair, this is the perfect look for you. 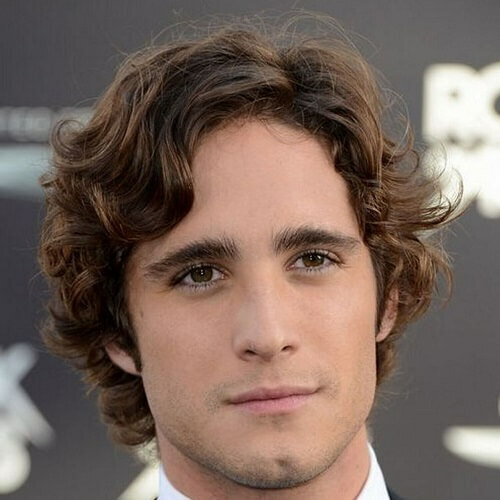 Combed back curls are the ideal hairstyle for a gentleman who knows his stuff about style. 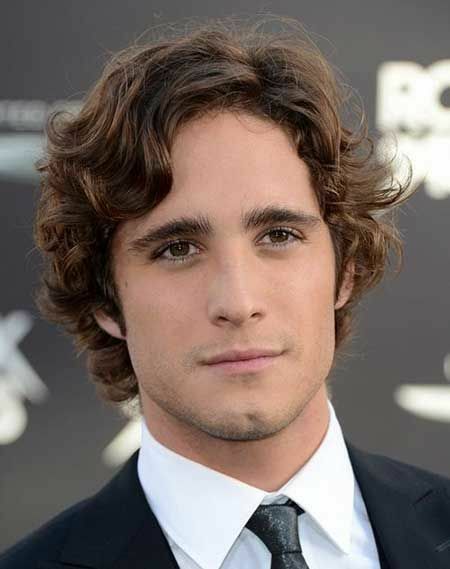 Another one of the classy and casual curly hairstyles for men is this stylish look. 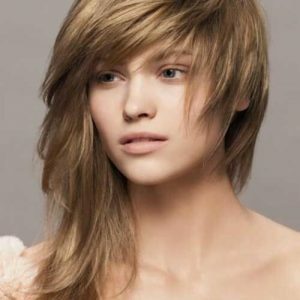 If your hair falls just above your ears and you have bangs, you can comb it into a side part and let it flow down naturally. 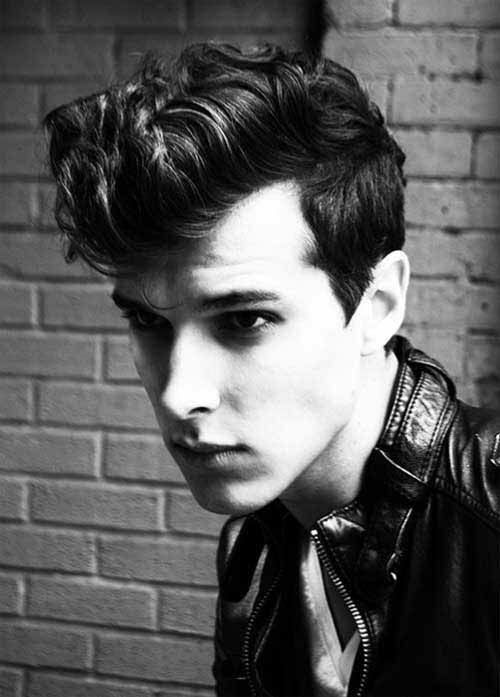 The curly faded pompadour is, by far, the must-have of all curly hairstyles for men this year. It’s sleek, alluring easy to maintain. All you need is some quality hair product for the top part. 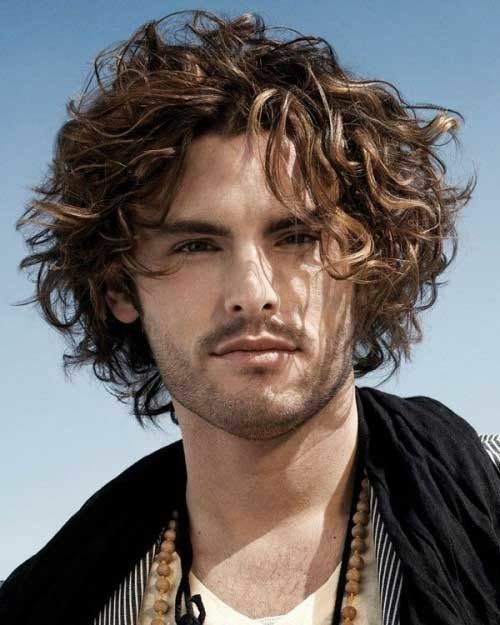 This bohemian curly hairstyle for men is the casual alternative to the curly pompadour. Instead of shaving the rest of your head from your ears down, simple cut it an inch or two and leave it longer in the front. 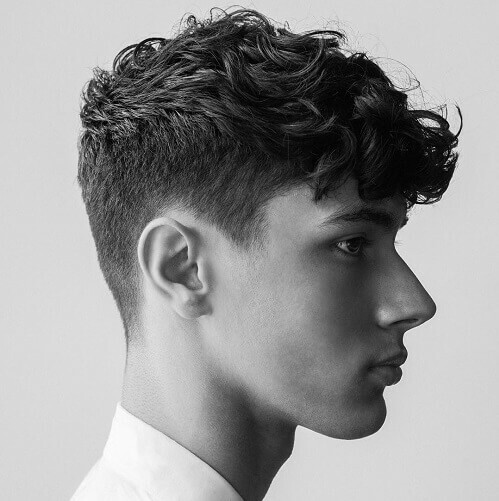 If you don’t want the hassle of having to spend time styling longer curly hair, you can try out this low-maintenance haircut. All you have to do is add some hair gel and spike it up a bit. 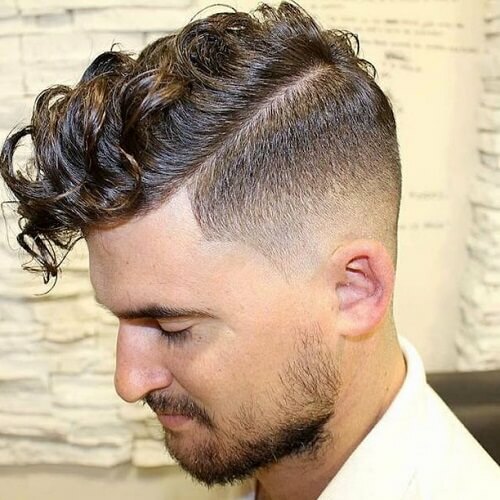 A pleasant surprise is that more and more men are allowing their hair to grow naturally, as opposed to the past few decades when everyone went for short hair. 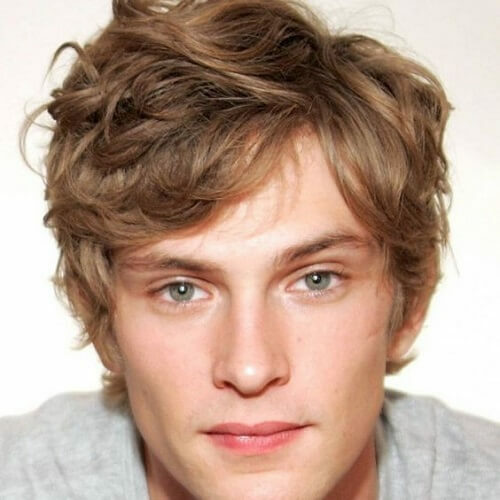 What makes this hairstyle great is that it’s not too long or too short, and it’s easy to maintain. 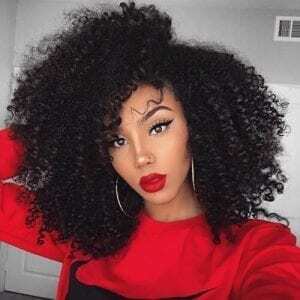 If your hair is really curly, you can let it grow to shoulder length and have fun experimenting with different hairstyles. One of the coolest options you can choose is parting it half up, half down horizontally and wrapping the top part in a loose bun at the back. 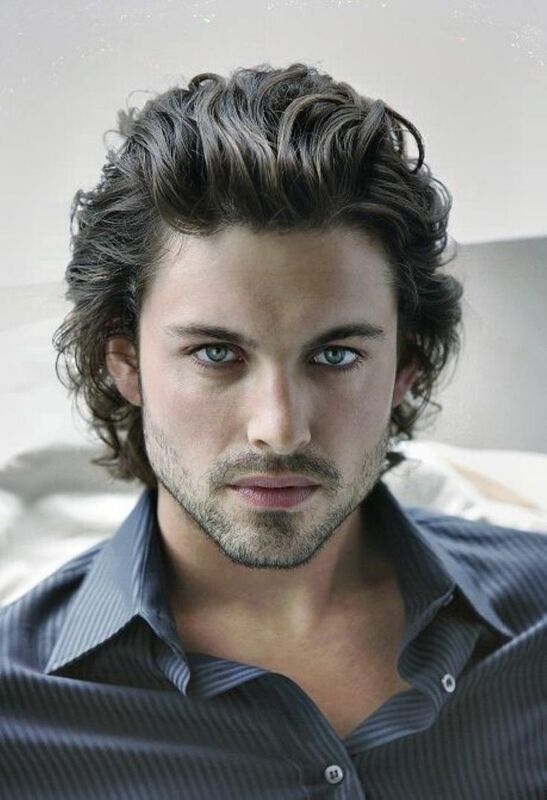 By contrast, longer wavy hair can also look amazing just the way it is. 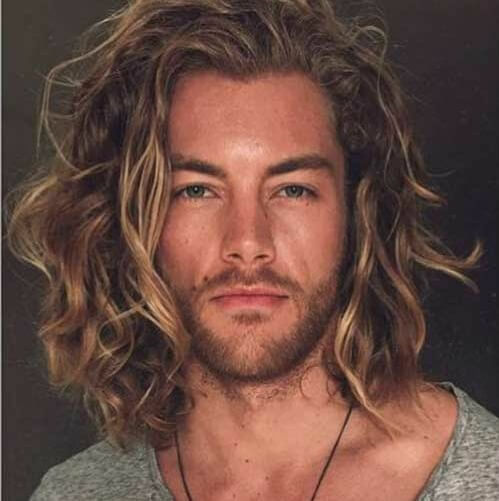 If you were lucky enough to be born with naturally wavy, thick and shiny locks, you should definitely try a longer hairstyle. 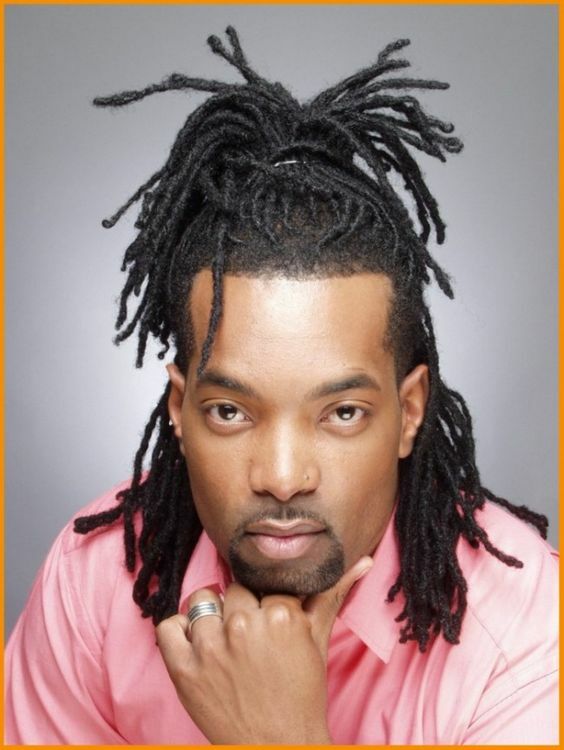 Dread locks are all the rage among gents who love urban culture and its trends. 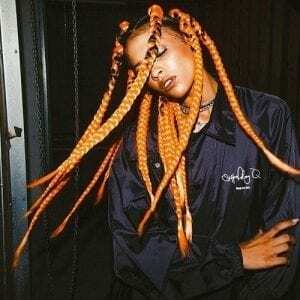 If you have afro hair, you can consider turning it into shorter dreadlocks that basically style themselves every time. 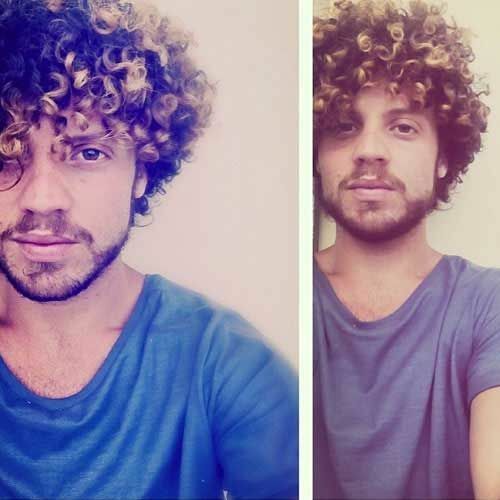 Tiny corkscrew curls look super cool, regardless of your gender. 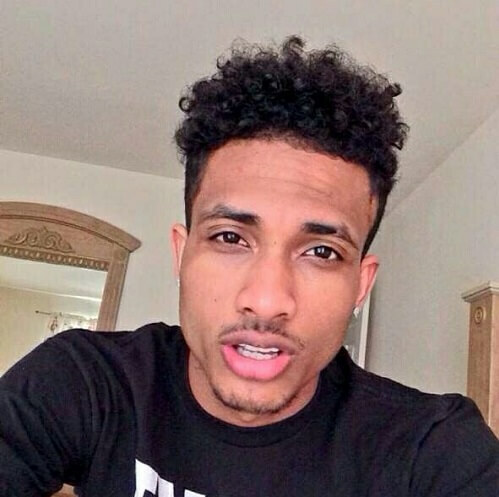 If this is how your hair grows naturally, don’t hesitate to leave it a bit longer and let those curls bounce around. 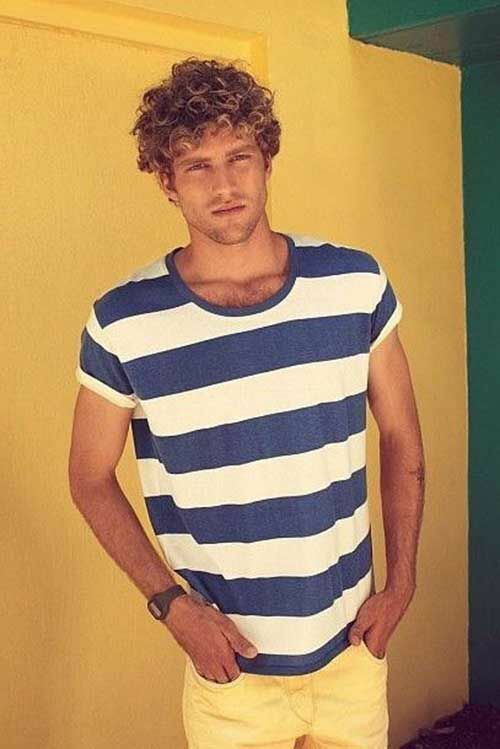 You don’t need to stress at all if your hair is curly and around ear length. 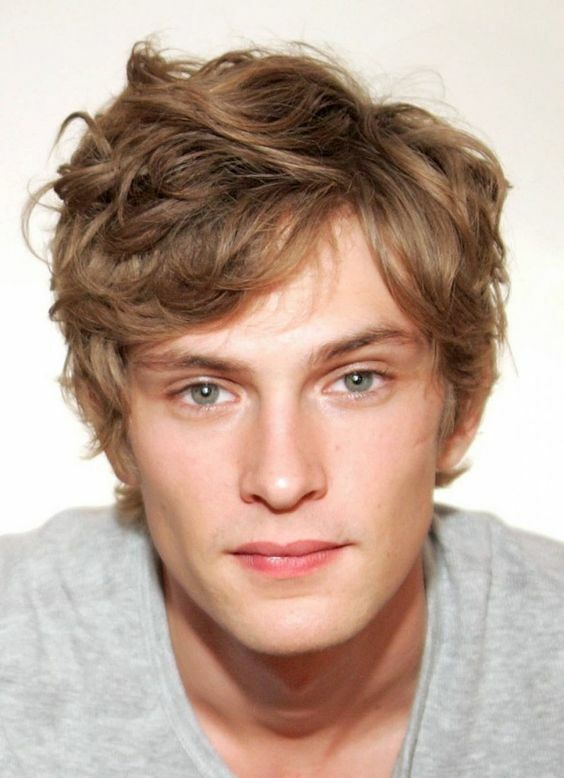 You can just run your fingers through your hair and it will fall back in place flawlessly every time. 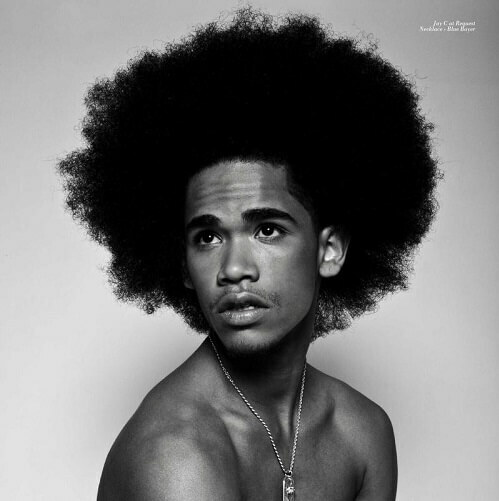 Afro hair is excellent for styling. 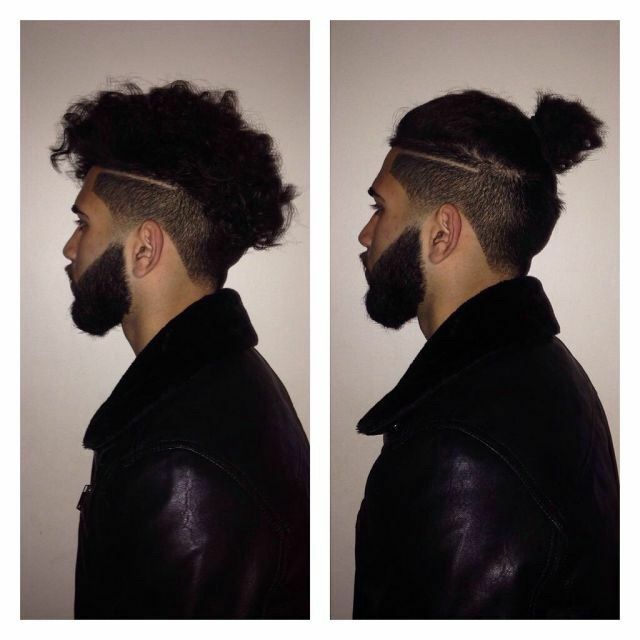 If you have a haircut like the one showcased in the photo above, you can leave it as a normal mohawk or tie it in a man bun. 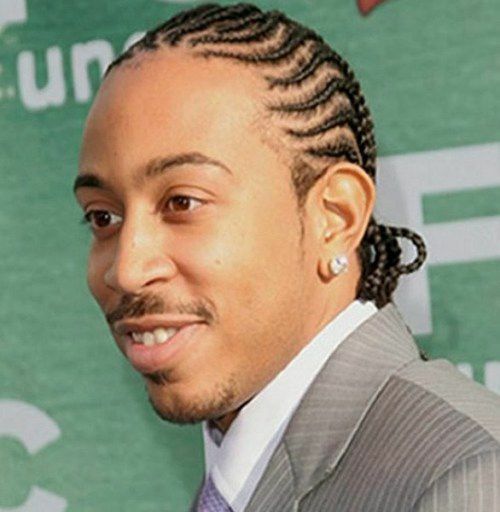 Ludacris is the leaving, breathing example that cornrows are always a fresh choice. Even if they’re not as worn nowadays as they were back in the day, they’re a great choice for a guy who has the hood at heart. Were you born with afro hair? You’re lucky, then! 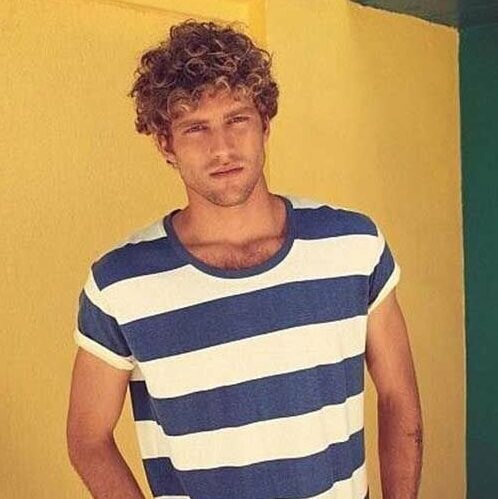 Let it grow out and embrace one of the hottest curly hairstyles for men from the 70s. It looks just as cool today as it did back then. If you want to stand out from the crows, you can always go for a flat top hairstyle. 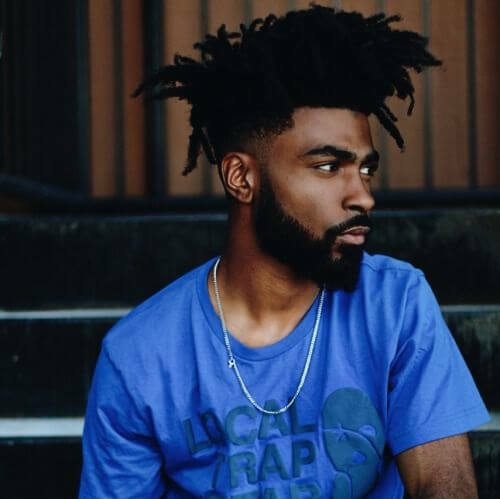 Even though it does require a trip to the barber shop, it’s really easy to maintain afterwards. 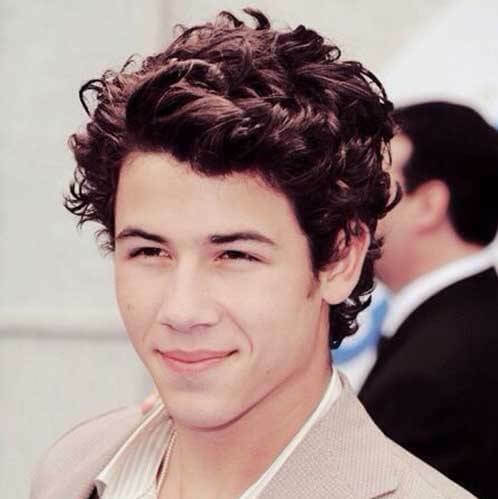 We all know how much the ladies dig Nick Jonas, partly because of his hairstyle. 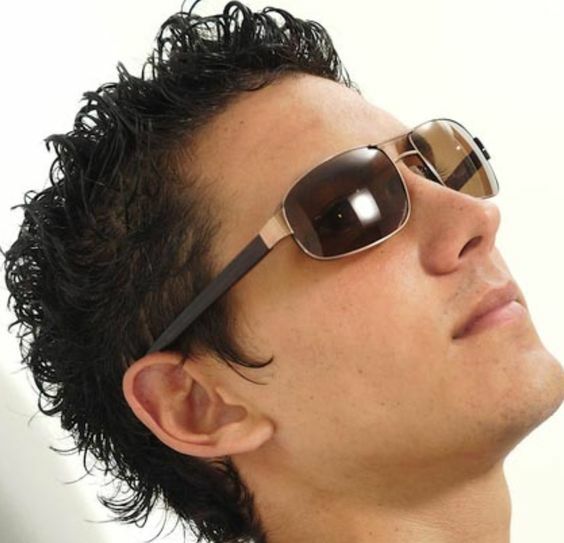 It’s a nice choice for boys and young men alike, as it expresses a free spirit that still cares about style. 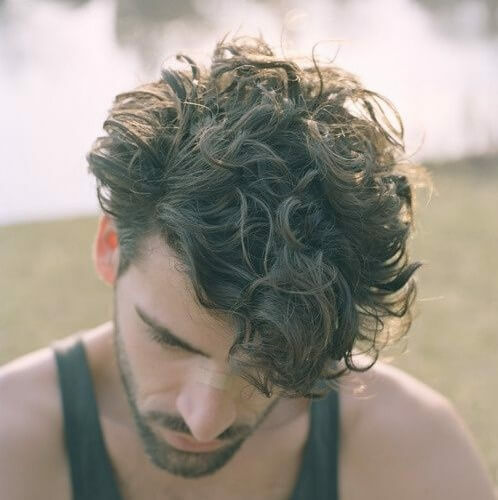 Grease lightning would be an understatement for these kinds of curly hairstyles for men. 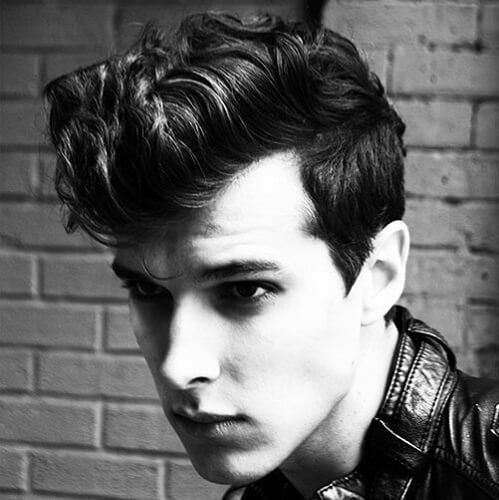 This rockabilly hairstyle is fierce, stylish, masculine and everything else you could ever want from a haircut. If your hair is wavy, you should certainly consider it for your next hairdo. 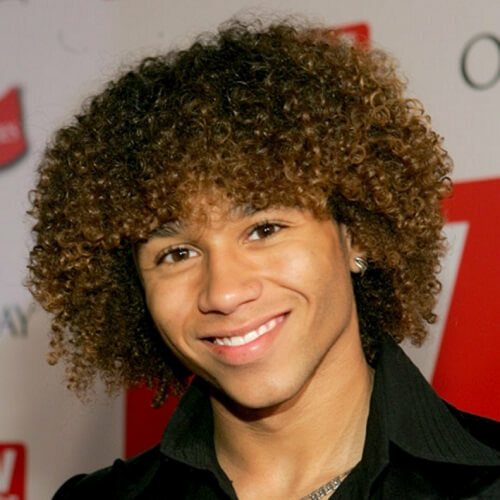 If it’s the summer and you want a fresh new look, you can always choose to change the color of your curls. 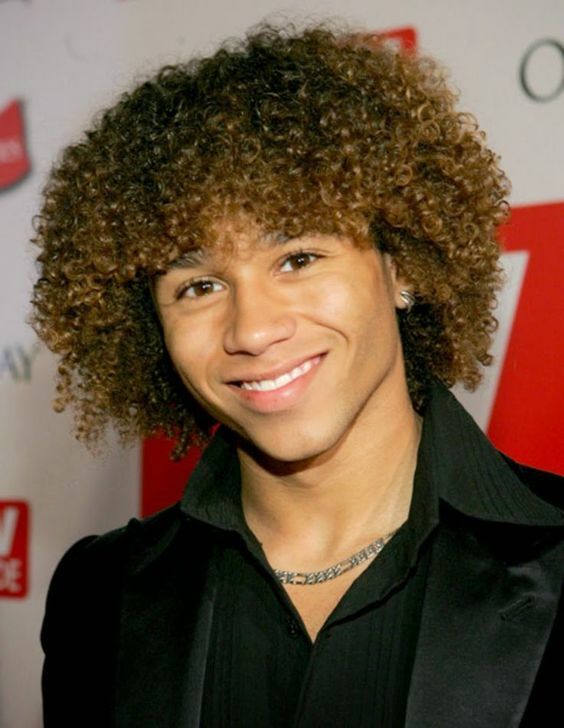 For a neat contrast, try some copper highlights or dye just the tips of your curls. This is a great choice for men with ear-length hair. 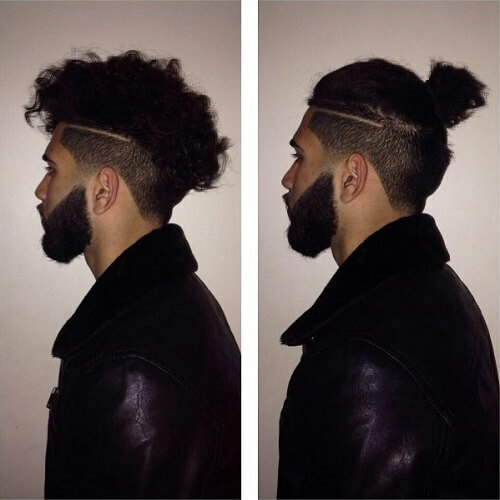 Regardless if you love rock, if you’re a creative spirit or just edgy at heart, this kind of hairstyle is amazing for men with curly hair. Allow it to grow so your bangs are longer and shave both sides. 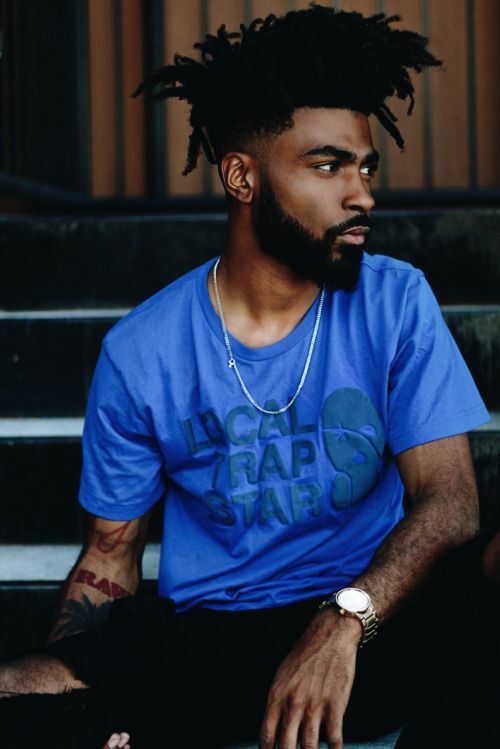 A bonus to this hairstyle is a thick beard. 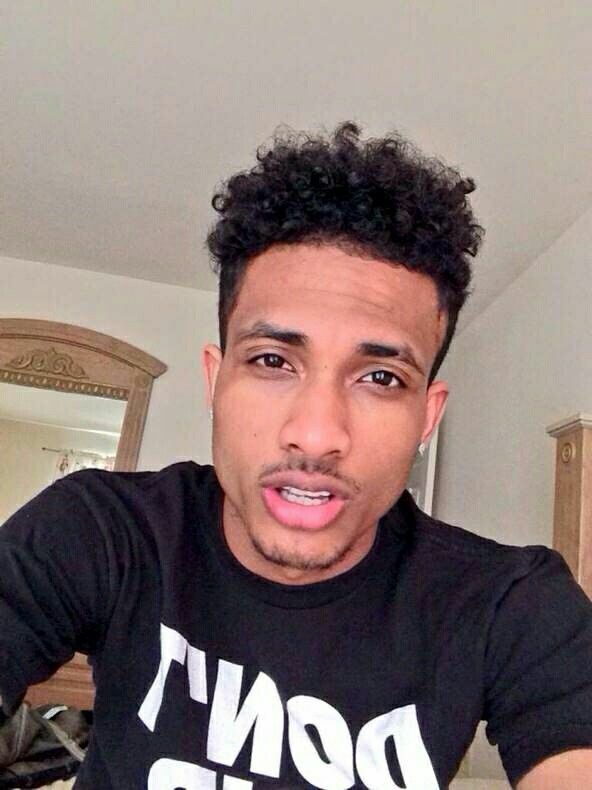 Any guy can rock a crewcut, no matter if he has straight or curly hair. Paired with a well-trimmed beard, this curly hairstyle combo looks clean and stylish at the same time. 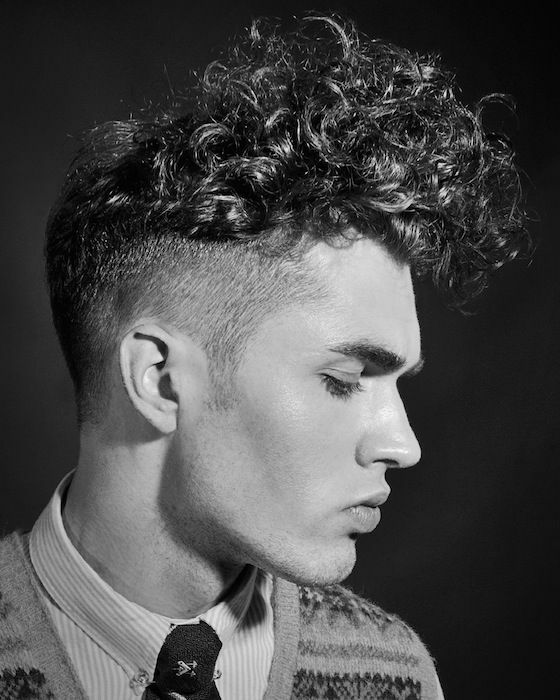 You already know about the curly pompadour haircut, so this particular example shows how you can style it differently. However, the haircut requires that you leave the top front part a bit longer. 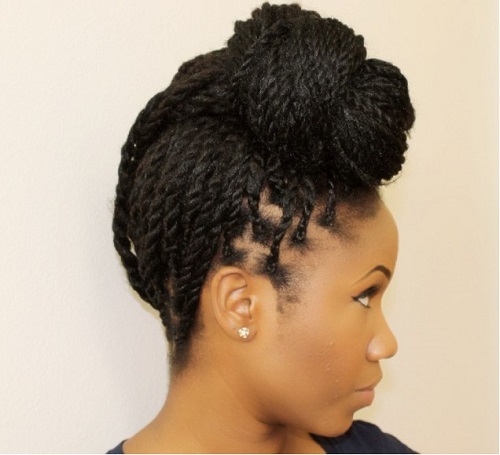 Dread locks can also be styled elegantly, like in the example above. 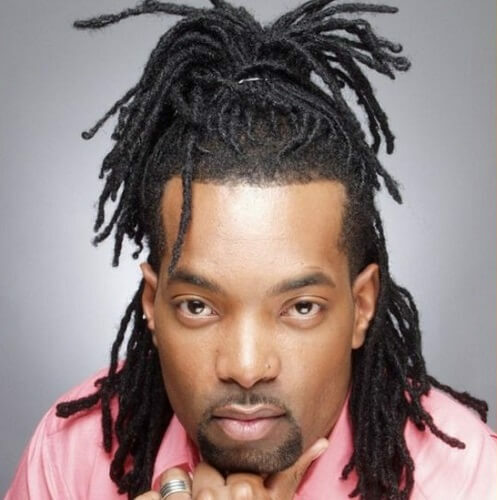 If your dread locks are longer – like shoulder-length – you can leave your hair down or tie half of it up, depending on your preferences and the occasion. Even more so, you can tie your whole hair back if you want to leave your face free. If long summer days on the beach or surfing sessions are your thing, you should consider this variety of curly hairstyles for men. 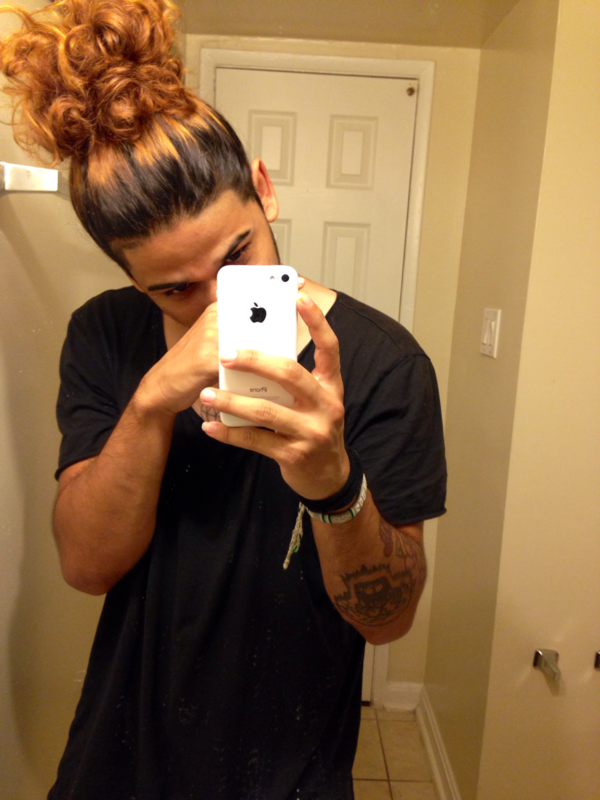 It works even better if you have light brown or blonde hair. You’ll get highlights from staying outside in the sun too. 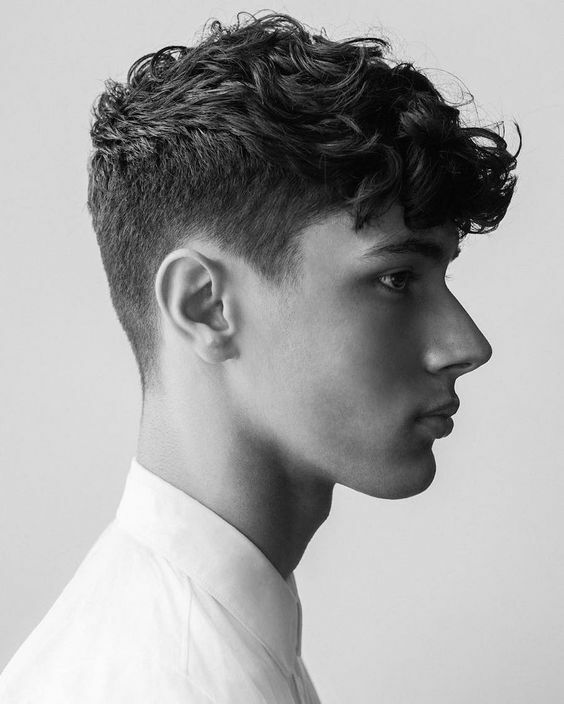 Another clean look is the classic college cut. 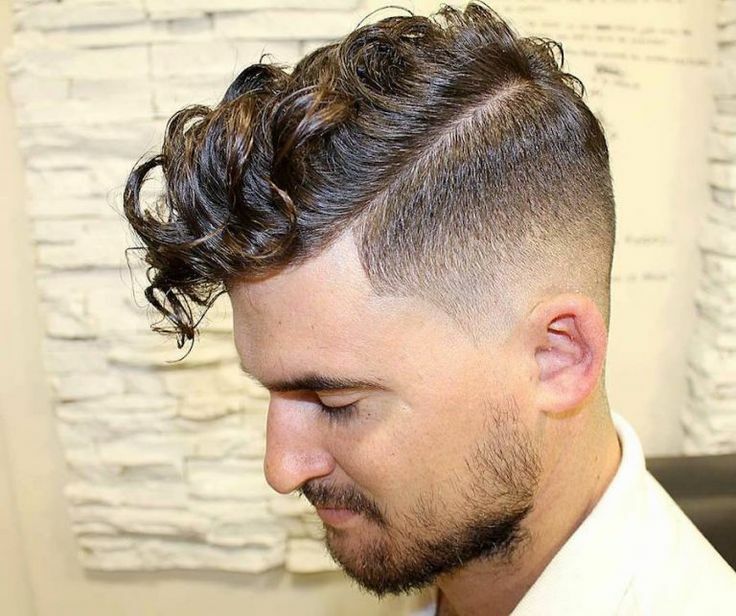 It’s basically the traditional haircut that guys with wavy hair can adopt. It’s respectable and fresh at the same time, making it appropriate for school, work or your next party. 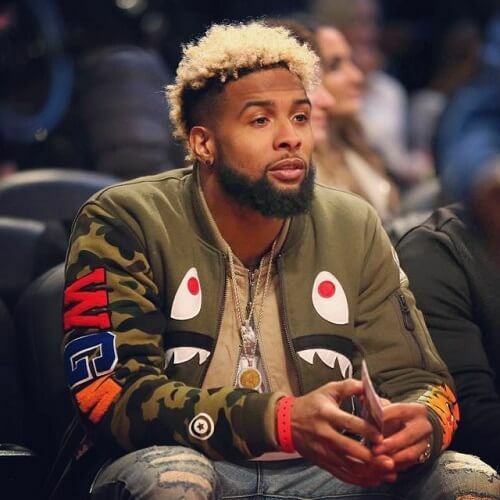 Odell Beckham proves that even guys can rock partly bleached hair and look amazing while doing it. 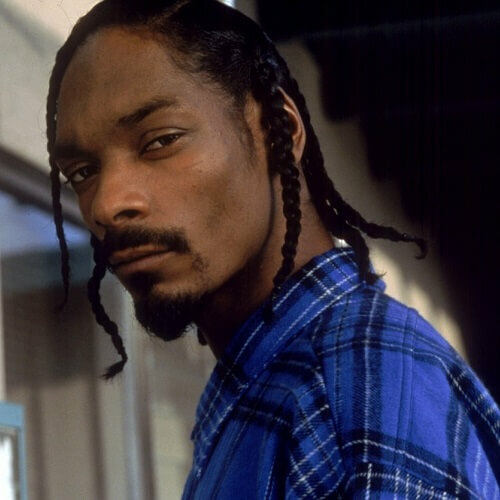 If you’re the outgoing or adventurous type, you should really consider this hairstyle idea, at least temporarily. 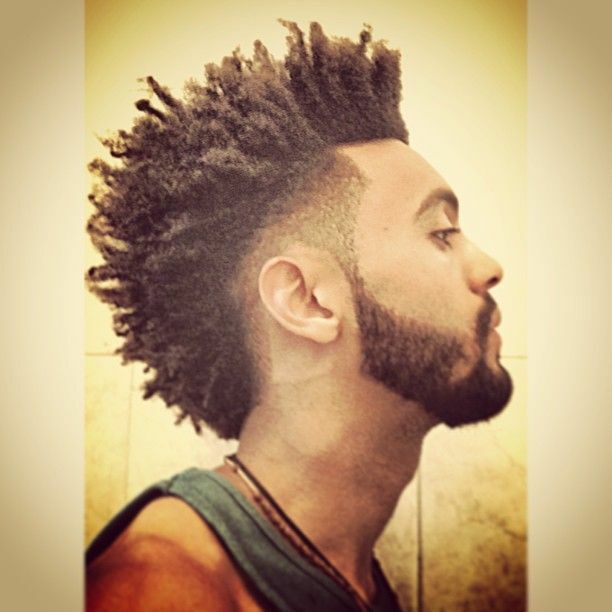 Afro hair also looks awesome when cut and styled into a thick mohawk. Mind you, it should be pretty wide to have the impact you’re looking for, so we recommend just shaving a bit from the sides of your head. The beard is optional, but we recommend that you try it out. 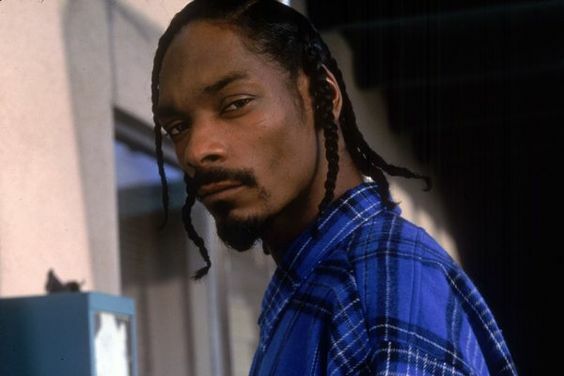 We have to admit; no one can rock braids quite like Snoop Dogg. 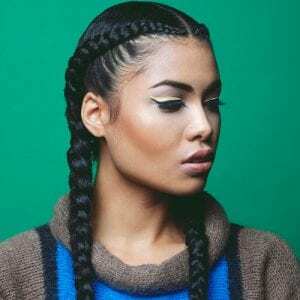 If your hair is longer and you don’t want it to get in your way, you can braid it into five or six braids for some good west coast vibes. 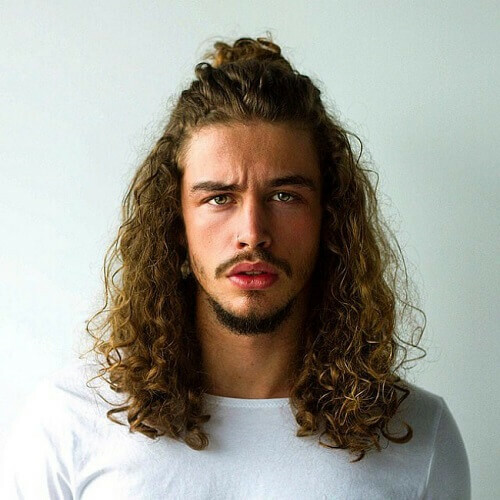 To conclude our list of curly hairstyles for men, we want to present an idea for guys with really long wavy or curly hair. 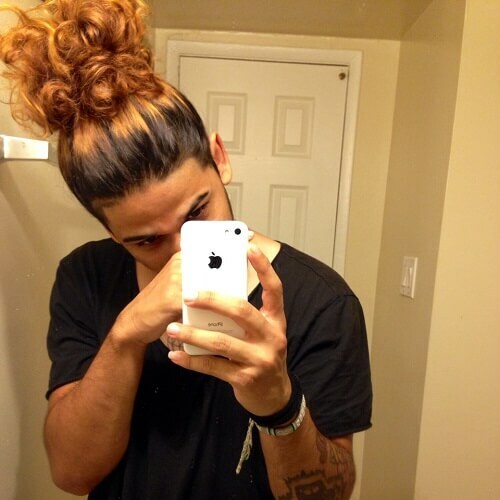 You can bring all of it up into a ponytail or a bun. 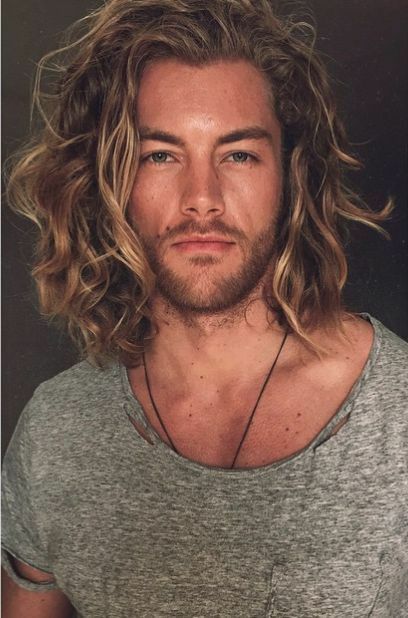 The style isn’t for everyone, but it’s a practical and attractive way of styling your long hair. Image sources: 1, 2, 3, 4, 5, 6, 7, 8, 9, 10, 11, 12, 13, 14, 15, 16, 17, 18, 19, 20, 21, 22, 23, 24, 25, 26, 27, 28, 29, 30.